When viewing a thread, you will be able to view the thread from a choice of four modes. Linear Mode (Newest First) - This is the same as the above mode, except that posts are ordered in an opposite way (newest first). Threaded Mode - In this mode, a tree is shown along with every post. This tree allows you to see the relationship each post has to others, in terms of who responded to whom. Only one post is shown at a time. Hybrid Mode - This mode is a mixture of the linear and threaded modes. 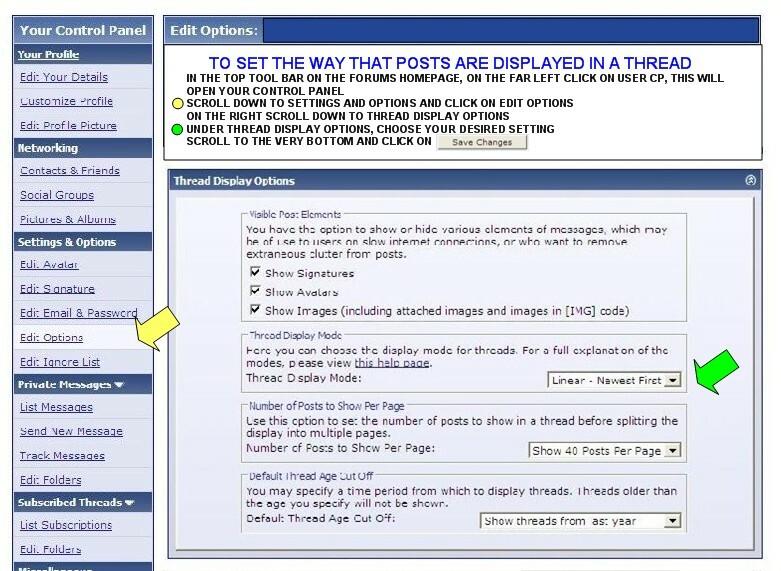 The post tree is displayed like in the threaded mode, but multiple posts are displayed simultaneously like in the linear modes.